Is it a privilege to be aware of our domesticated captivity within the walls of civilization? Is it a necessity to act on that privilege? 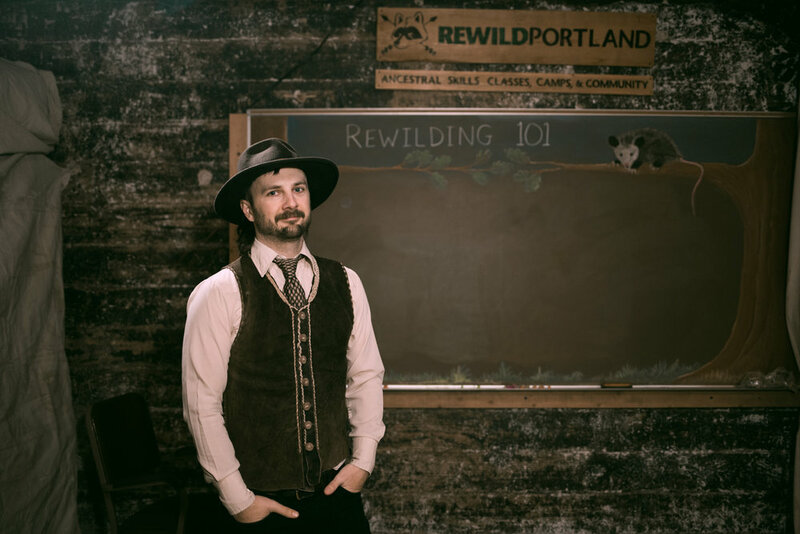 This is a line of questioning that I followed with Peter Michael Bauer, author of Rewild or Die: Revolution and Renaissance at the End of Civilization (my book club pick for the month of April - click here to learn more). Of course, to even make sense of questions like these requires some fundamental shifts of perspective: as Peter points out, you need to be able to view them through a specific sort of lens -- the lens of rewilding -- without which you're left to wade through a whole mess of cognitive dissonance and half-truths you likely inherited from the dominant culture. Suffice it to say that the forces of oppression and exploitation have a vested interest in framing our conversations in such a way as to divide and conquer us whenever possible. And we're all guilty of perpetuating this cultural climate, to a greater or lesser extent. "Forgiveness doesn't go viral. Shame goes viral." How, then, do we begin to push back against The Powers That Be in a meaningful, productive way? Recognizing the privilege of being born into the wealthiest and most destructive culture the world has ever known, how do we harness said privilege to subvert and undermine the will of our oppressors? Oh, and stick around to the end of the episode where I share a very personal spiritual experience I had recently at the fertile intersection of domestication, resistance, grief, and love. Be sure to check out my recent interview with Jonathan in episode 36: Uncaging the Human Body and Mind to learn more about the art and philosophy of natural movement that Jonathan teaches through his program. As I mention in the podcast, I'm keeping the price very low -- $6 to be exact -- because my primary goal is to get this information out to the greatest number of people possible. With that said, if you feel that you would benefit from the book and you honestly don't have the cash to spare, send me an email and tell me about your situation, and I'll probably give you a copy of the book for free. Just promise you'll put it to good use! !